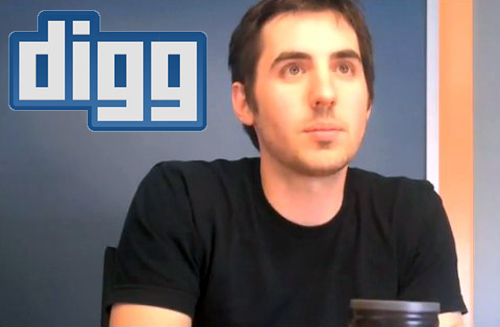 TechCrunch recently sat down with Digg founder Kevin Rose to discuss the meteoric rise of the ubiquitous social-media hub. Along with teasing us with hints, topics touched on include where it’s been, where it’s going, old rumors and new truths. The surprisingly humble Rose opens up about previous failures as well as successes, and explains just what happened all those times Digg almost got sold. Rose talks about “Digg 2” bringing with it the sudden realization that they really had something, back in mid 2005. It was about this time that offers started to pour in from big names throughout the industry. He explains further that several offers made it as far as talks, but each fell through before a deal was reached. At the time Rose was more or less funding the project on his own, and hurting for capital. He admits that had they concentrated on the site more instead of possible business deals, they wouldn’t have wasted so much time and Digg would probably have been better for it. Rose kept the interview candid; while shying away from questions at times, he was playful at others. When flattered for the efforts of Digg to curb the influence of fake voting and other types of vote-manipulation, he laughed it off and said the interviewer was making things up. Then it was down to business: The Digg Bar. One major revelation was that 43% of all diggs now come from the new, briefly controversial toolbar. Rose stated that they’d had the idea for the Digg Bar for over two years, but hadn’t ever finished working out the mechanics of it until recently. He said that they knew since the beginning that the process for digging before the bar was “clunky.” Another interesting bit Rose touched on was the amount of data the new Digg Bar sends back to the mother-ship. You can catch the full video of the interview, with transcript here.